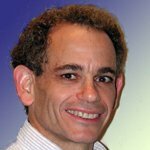 Dr. David W. Kravitz has over thirty years of cryptography and information security experience. Dr. Kravitz invented the Digital Signature Algorithm (DSA) during his 11-year stint at the NSA. Prior to TrustCentral, David was Principal Member of the Technical Staff at Certicom (a subsidiary of Research In Motion/Blackberry), where he led standardization and research efforts developing new cryptographic primitives and employing these primitives to meet information security requirements in emerging application spaces like personal area and mobile networks. Previously, he was Fellow of the Technical Staff at Motorola, the Chief Cryptographer for Orion Security Solutions, Chief Scientist for Wave Systems Corp., Chief Scientist – Security Systems for Digital Video Express (DIVX), Vice President at CertCo/Bankers Trust, Senior Member of the Technical Staff at Sandia National Laboratories, and Senior Technical Advisor at the National Security Agency. David has spoken, published and patented on: the secure use of PKI, including analysis of implicit certificate chaining that has impacted IEEE 1609.2 (security services for Wireless Access in Vehicular Environments (WAVE)); methods to balance digital rights restrictions against ease of use across multiple platforms through compromise containment (as adopted by the Open Mobile Alliance); analytics relative to targeted advertising; digital video forensic evidence; hierarchical key management, and a new encryption/decryption mode to securely handle multi-block messages; an architecture that enables consumers to access services and content from multiple providers without jeopardizing the privacy interests of consumers or the intellectual property rights of providers, through introduction of a trust server that mediates the conferral and revocation of trust relationships; highly scalable on-line payments achieved via task decoupling; and trustee-based tracing extensions to anonymous cash. He had discovered a subtle cryptographic flaw in an electronic money system that Sandia was responsible for evaluating, and was awarded a Certificate of Achievement by the Director of NSA for his cumulative work in protocol and algorithm design and evaluation. In addition to his work in PKI, Smart Grid, digital rights, key management and digital payment systems, David is the inventor of the Digital Signature Algorithm (DSA) standardized in FIPS Publication 186, Digital Signature Standard. David holds a Ph.D. in Electrical Engineering – Systems from the University of Southern California specializing in Cryptography and Coding Theory, an M.A. in Mathematical Sciences from Johns Hopkins University, and a B.S. in Mathematics from Rutgers University.